Can I invest as a company? Yes you can. However, you cannot register as a company - that you need to do as an individual. 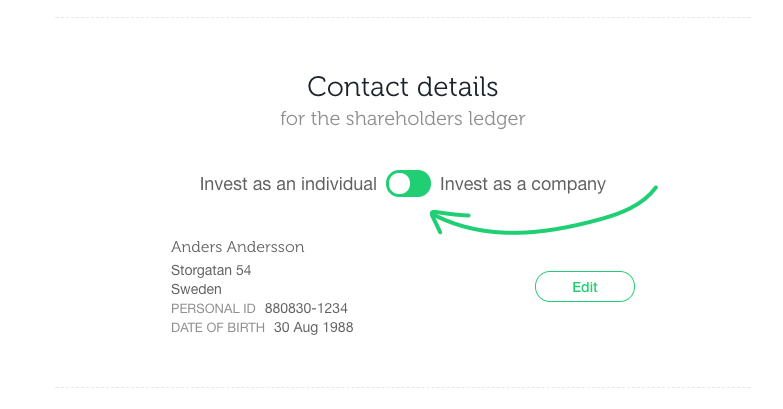 When investing as a company, you click the box "Invest as a company" after filling out the amount you would like to invest.